For over 30 years Broadgate has worked with local authorities and regional bodies to help businesses grow in South Lincolnshire and to encourage new businesses to relocate there. Broadgate also has a varied investment portfolio making it one of the largest commercial landlords in Lincolnshire. It is the variety of property which helps develop the local economy, with large factory and office units as well as a number of small premises available on short-term leases, which often prove perfect for start up businesses. 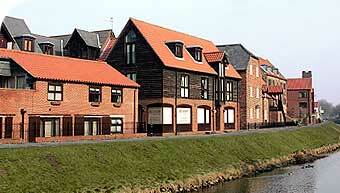 Broadgate has numerous commercial premises to let within South Lincolnshire. Offices, factories and retail properties are all available. Broadgate also has arable farming land to rent within a number of Lincolnshire towns and villages. Broadgate Group, Broadgate House, Weston Hills, Spalding, Lincs. PE12 6DB. Click here to view terms & conditions under which use of this site is governed.